Employers seeking to avoid common law obligations often use termination clauses, but in many cases, they are not worth the paper they are printed on. In recent years, our courts have assessed numerous termination clauses and while the results are somewhat unpredictable, the key point is that care needs to be taken when drafting such clauses. The latest chapter in this saga, Garreton v. Complete Innovations Inc, suggests that we are still nowhere near the point of certainty. Garreton adds severance as a “must-have” in termination clauses. 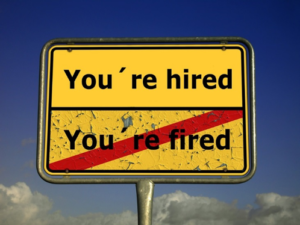 As we know, pursuant to the Employment Standards Act, 2000, employees are only entitled to severance if they have worked for five years or more and the employer has a payroll that exceeds $2.5 million. Therefore, severance is not a universally applicable concept, or indeed even a reality, for many employees. At trial, the Court found the Plaintiff had not been dismissed for just cause, holding that she was entitled to five months of reasonable notice pursuant to common law. The Defendant appealed, and the appeal court found that the clause was void on the basis that it was capable of “potentially violating the Act”. Clauses will be considered at the time that they are executed, and if the termination provision was not compliant with requirements for severance, if applicable, from the very beginning, then it will be void and unenforceable. That is true even if, in fact, the entitlement in question did not apply. In other words, even though an employee is not entitled to Severance Pay at the time of dismissal, if they could have been, and the contract did not provide for it, then the clause is unenforceable and the common law will prevail. Employers and contract drafters should take this development as a warning: inclusivity of ESA entitlements is always the safest route to take. Even if it is unlikely that a provision of the ESA will ever apply, it should be referenced (“if applicable”), and a saving clause should be used which states that if the clause falls below the minimum requirements of the ESA, those minimum requirements will prevail. Employers are well-advised to reach out to us for our advice when drafting these clauses. Otherwise, they may be relying upon clauses that will not hold up. Similarly, employees affected by a termination provision are welcome to contact us to understand their rights and the enforceability of the provision.